April 28, 2017 — The Marcus Corporation (NYSE: MCS) has reported record revenues and increased net earnings and earnings per share for the first quarter of fiscal 2017 ended March 30, 2017. Total revenues for the first quarter of fiscal 2017 were a record $157,954,000, a 25.9% increase from revenues of $125,444,000 for the first quarter of fiscal 2016. Operating income was $18,025,000 for the first quarter of fiscal 2017, a 58.9% increase from operating income of $11,346,000 for the first quarter of fiscal 2016. Net earnings attributable to The Marcus Corporation were $9,453,000 for the first quarter of fiscal 2017, a 73.4% increase from net earnings attributable to The Marcus Corporation of $5,452,000 for the first quarter of fiscal 2016. Net earnings per diluted common share attributable to The Marcus Corporation were $0.33 for the first quarter of fiscal 2017, a 65.0% increase from net earnings per diluted common share attributable to The Marcus Corporation of $0.20 for the first quarter of fiscal 2016. “Fiscal 2017 is off to an excellent start, with revenues that were higher than any quarter in our history. Marcus Theatres drove our strong first quarter performance, setting new all-time records for both revenues and operating income and continuing to outperform the industry. Marcus Hotels & Resorts achieved increased revenues and also outperformed the industry during its traditionally slower winter season,” said Gregory S. Marcus, president and chief executive officer of The Marcus Corporation. “Marcus Theatres broke all previous quarterly records, reporting a 38.4% increase in revenues and a 38.7% increase in operating income for the first quarter of fiscal 2017. On a comparable theatre basis, the division outperformed the change in national box office revenues by 2.1 percentage points, compared to the same corresponding weeks in the prior year, according to Rentrak. 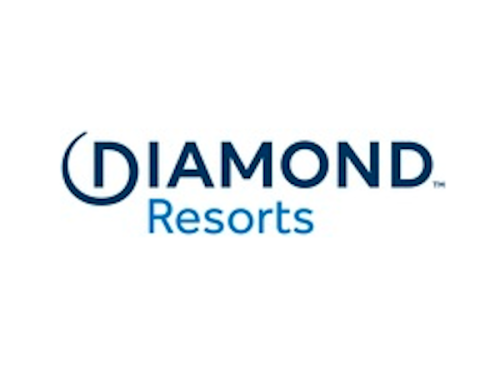 This is even more significant given that a large number of screens were out of service during the quarter for renovations that will bring our signature DreamLoungerSM recliner seating and other features to more locations,” said Marcus. “The 14 Wehrenberg Theatres® locations we acquired in December 2016 made a positive contribution to our record first quarter results. The acquisition included 197 screens in Missouri, Iowa, Illinois and Minnesota, which increased our footprint by 29%,” said Rolando B. Rodriguez, chairman, president and chief executive officer of Marcus Theatres. “In addition to strategic acquisitions and investing in existing theatres, our growth strategy also includes building new theatres. In April, we opened the Marcus Southbridge Crossing Cinema, a 10-screen theatre in Shakopee, Minn. The new theatre features DreamLounger recliner seating in all 10 auditoriums, two UltraScreen DLX® auditoriums, a Take FiveSM Lounge and a Zaffiro’s® Express. This is our 11th theatre in Minnesota,” said Rodriguez. Construction is continuing on the division’s first stand-alone all in-theatre dining location in Greendale, Wis. Branded BistroPlexSM, the new eight-screen theatre will introduce a completely new dining and movie concept when it opens this summer. Rodriguez said the five top-performing films for Marcus Theatres in the first quarter of fiscal 2017 were Beauty and the Beast, The LEGO® Batman Movie, Hidden Figures, Logan and Rogue One: A Star Wars Story. “The second quarter is off to a good start with the strong opening of Fate of the Furious. The busy summer season starts in May, with anticipated films opening through the end of the second quarter including Guardians of the Galaxy Vol. 2, Alien: Covenant, Baywatch, Pirates of the Caribbean: Dead Men Tell No Tales, Wonder Woman, The Mummy, Cars 3 and Transformers: The Last Knight,” said Rodriguez. “Marcus Hotels & Resorts’ revenue per available room (RevPAR) for comparable company-owned properties increased 4.4% in the first quarter, outperforming the industry and the competitive set in its markets. The first quarter results benefitted from additional group and transient business in what is typically the division’s weakest quarter due to the impact of winter weather on our Midwestern locations,” said Marcus. “While revenue and operating income at our eight company-majority-owned hotels was up over the first quarter of last year, total division operating income declined due in part to pre-opening expenses for our new SafeHouse® Chicago, the second location of our spy-themed restaurant and bar. SafeHouse Chicago opened March 1 with much publicity and is being very well received by customers. SafeHouse Chicago is in an ideal location adjacent to our AC Hotel Chicago Downtown,” said Joseph Khairallah, president and chief operating officer of Marcus Hotels & Resorts. “The 29 spacious, all-season villas we are adding to the Grand Geneva® Resort & Spa in Lake Geneva, Wis. are scheduled to open in a few weeks, just in time for the busy summer season. The villas will bring the total number of units on the award-winning Grand Geneva campus to more than 600,” said Khairallah. “We are also eagerly anticipating the summer 2017 opening of the new Omaha Marriott Downtown at The Capitol District in Omaha, Neb., where we are a minority investor and will manage the property. The 12-story, upscale hotel will feature 333 rooms in the heart of the Capitol District, an upscale dining, shopping and entertainment complex under development in downtown Omaha,” added Khairallah. “During the first quarter, we increased our quarterly cash dividend by 11.1%, our third dividend increase in the last two years. Our debt-to-total capitalization ratio remained steady at 42% at the end of the first quarter. Our strong balance sheet gives us the ability to return capital to shareholders, while at the same time continuing to invest in our two businesses and pursue potential growth opportunities,” said Douglas A. Neis, chief financial officer and treasurer of The Marcus Corporation. Marcus Corporation management will hold a conference call today, Thursday, April 27, 2017, at 10:00 a.m. Central/11:00 a.m. Eastern time to discuss the first quarter results. Interested parties may listen to the call live on the Internet through the investor relations section of the company’s website: www.marcuscorp.com, or by dialing 1-574-990-3059 and entering the passcode 97356744. Listeners should dial in to the call at least 5-10 minutes prior to the start of the call or should go to the website at least 15 minutes prior to the call to download and install any necessary audio software. A telephone replay of the conference call will be available through Thursday, May 4, 2017, by dialing 1-855-859-2056 and entering passcode 97356744. The webcast will be archived on the company’s website until its next earnings release. Headquartered in Milwaukee, Wisconsin, The Marcus Corporation is a leader in the lodging and entertainment industries, with significant company-owned real estate assets. The Marcus Corporation’s theatre division, Marcus Theatres®, is the fourth largest theatre circuit in the U.S. and currently owns or operates 895 screens at 69 locations in eight states. The company’s lodging division, Marcus® Hotels & Resorts, owns and/or manages 17 hotels, resorts and other properties in nine states. For more information, please visit the company’s website at www.marcuscorp.com. Certain matters discussed in this press release are “forward-looking statements” intended to qualify for the safe harbors from liability established by the Private Securities Litigation Reform Act of 1995. These forward-looking statements may generally be identified as such because the context of such statements include words such as we “believe,” “anticipate,” “expect” or words of similar import. Similarly, statements that describe our future plans, objectives or goals are also forward-looking statements. Such forward-looking statements are subject to certain risks and uncertainties which may cause results to differ materially from those expected, including, but not limited to, the following: (1) the availability, in terms of both quantity and audience appeal, of motion pictures for our theatre division, as well as other industry dynamics such as the maintenance of a suitable window between the date such motion pictures are released in theatres and the date they are released to other distribution channels; (2) the effects of adverse economic conditions in our markets, particularly with respect to our hotels and resorts division; (3) the effects on our occupancy and room rates of the relative industry supply of available rooms at comparable lodging facilities in our markets; (4) the effects of competitive conditions in our markets; (5) our ability to achieve expected benefits and performance from our strategic initiatives and acquisitions; (6) the effects of increasing depreciation expenses, reduced operating profits during major property renovations, impairment losses, and preopening and start-up costs due to the capital intensive nature of our businesses; (7) the effects of adverse weather conditions, particularly during the winter in the Midwest and in our other markets; (8) our ability to identify properties to acquire, develop and/or manage and the continuing availability of funds for such development; and (9) the adverse impact on business and consumer spending on travel, leisure and entertainment resulting from terrorist attacks in the United States or other incidents of violence in public venues such as hotels and movie theatres. Shareholders, potential investors and other readers are urged to consider these factors carefully in evaluating the forward-looking statements and are cautioned not to place undue reliance on such forward-looking statements. The forward-looking statements made herein are made only as of the date of this press release and we undertake no obligation to publicly update such forward-looking statements to reflect subsequent events or circumstances.